It is one thing to hear that those of First Nations descent were the first people on this land, and another to see physical proof. 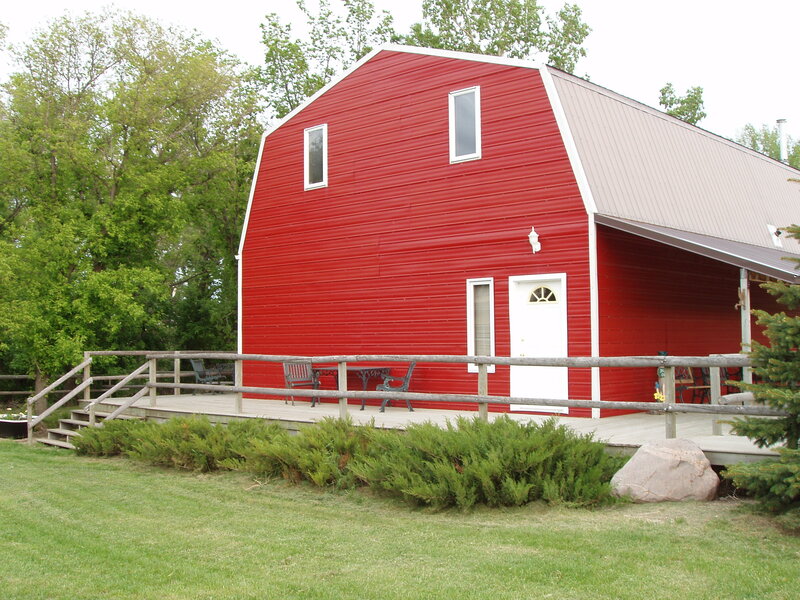 On at rib of land, lying near the Swift Current Creek, on land owned by Esther and Dave Green, there is a unique opportunity to see that proof up close and personal. An experience that makes the point First Nations have been trying to make for many years, really hit home – they were indeed here first. Discovered during a sunrise in 1973 by Dave Green as he rode by the rock he passed each day as he went about his morning ritual of moving his irrigation pipes, this particular morning the light seemed to hit the rock just right, magically illuminating it to reveal the secret carvings it was holding. 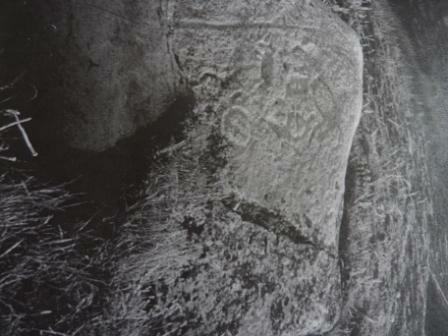 Carvings of buffalo tracks, a turtle and other geometric shapes, that before now had somehow remained unseen. In the beginning Dave, who had just bought the property that year, says he thought he was imaging things, but as his morning ritual continued and he continued to see and to speak of the carvings, for awhile it was everyone else who thought he was crazy, not believing that the carvings he spoke of were really there. 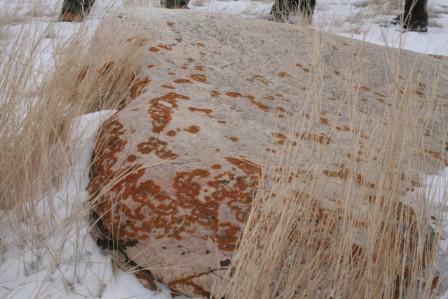 Vindication came in 1988 in the form of Tim Jones of Saskatoon who did a study of the rock and discovered it was indeed a petroglyph, or rock carving. 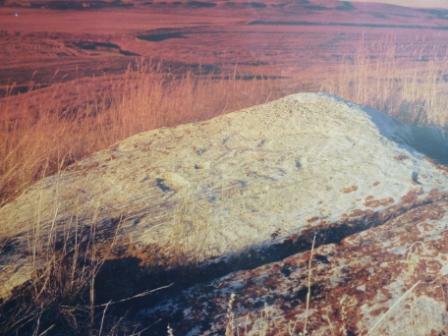 One that because of the bison tracks shows a clear affinity with the petroglyphs of St. Victor, which lie south of Assiniboia, over 200 kms away. It is estimated that the carvings could date back as far as 3,000-5,000 years ago. 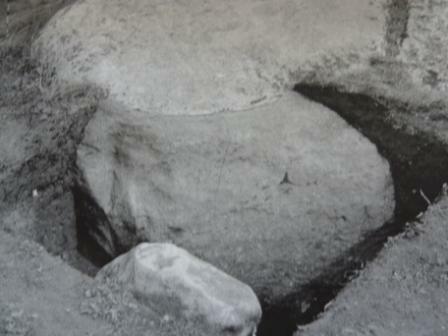 Further studies on the rock were done in 1992 by a Dr. Steinbring from the University of Manitoba’s Archaeology Dept. who brought with him some students to undertake a full dig and try to date the carvings. When they dug down the side of the rock, they were surprised to discover there was more to this petroglyph that even they had thought as their dig revealed pictographs just a metre below the surface. Pictographs which seem to be much less older than the carvings at “only” 1,200 years old. 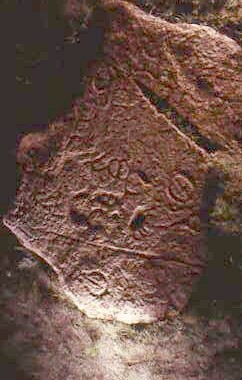 While the pictographs have been recovered in an attempt to preserve them, the carvings are still visible to the naked eye, but Dave and his wife Esther say they are much less visible than when they were when they first discovered. A result, they theorize, from modern societies much more polluted atmosphere eroding the rock at a swifter rate. When I called up Esther and asked her if I could come and see the petroglyphs for myself, she warned me that it was a bit of a hike up to where the rock lies, and that being winter it might make it even more difficult. She was right on both counts, but we gamely persevered, and were ever so glad we did. Cloudy as it was, the rock simply appeared dimpled to the naked eye, and it was easy to understand how you could completely miss or ignore the carvings that it holds. Having seen the pictures prior to our hike, I knew what to look for and even I had difficulties seeing them – but see them I did. Before this, First Nations history has always seemed something that was equal to white settler history. A Fort here, a Teepee there, stories of battles won and lost. A stark contrast to European history which has always seemed to me so ancient, while our own has always seemed so young. 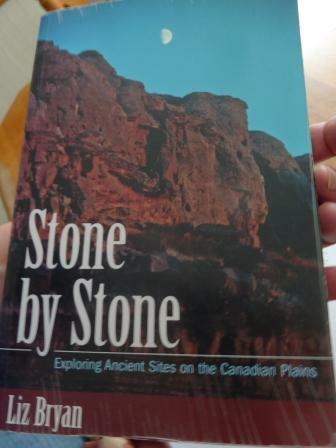 Here however, on a non-descript rock was tangible proof that our First Nations people, people who I had previously only thought of living here in terms of hundreds of years, have indeed been keepers of the land for literally thousands of years. 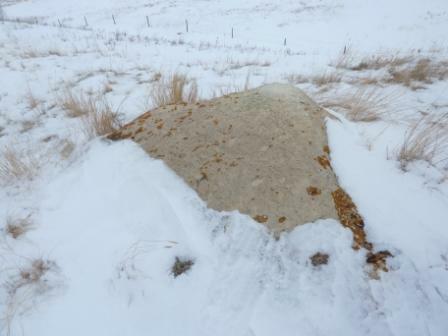 It’s only a rock, one you’d pass by without a second glance on most normal days. 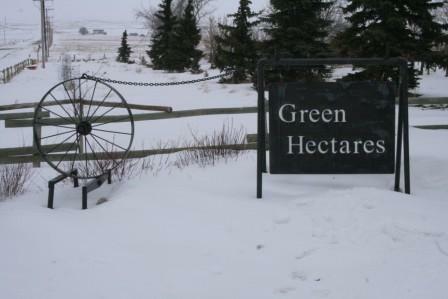 But if you want an opportunity to stop and feel the true spirit of Saskatchewan and it’s proud history, you really should make the effort to GoHere. How to GoHere: If in Swift Current head down the road that passes between the new Swift Current hospital and the Canadian Tire and continue on down the road until you round the corner. You’ll see the telltale red barn and the sign for Green Hectares. Gotta Go? 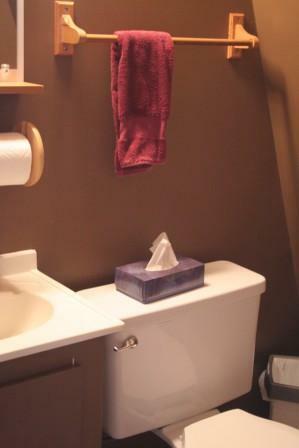 : As a working Bed and Breakfast Dave and Esther have many clean and tidy bathrooms for your going pleasure. All you have to do is ask. The downside to this attraction is that the petroglyph is located on private land, and as such is not something you can just wander on over to see at your own convenience. The upside is that this will help preserve the rock from those who might seek to do it mischief. The other upside is that Esther and Dave are very amiable to letting people who want to see the petroglyph have every opportunity to do so, and will happily guide you there personally. 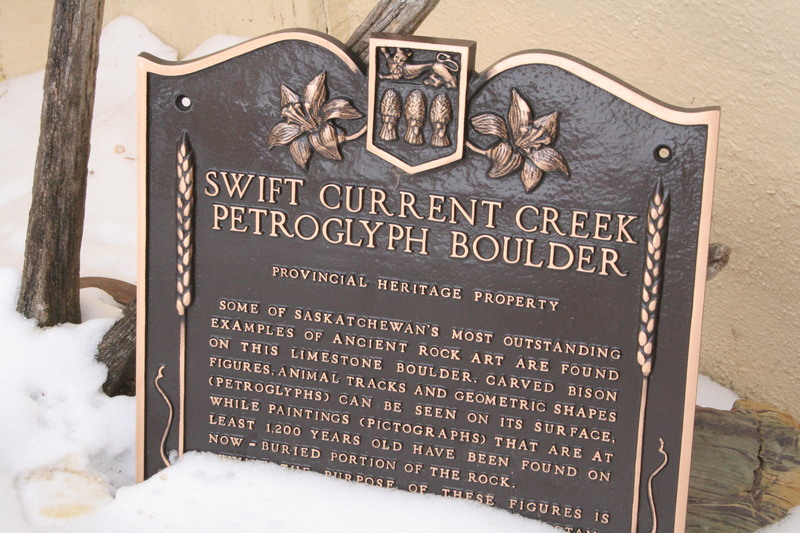 They have even written up the history of the petroglyph and placed it in their guest rooms and on their website: www.greenhectares.ca so that more can know of it’s great significance. Dave and Esther have many great tales to tell – some about the petroglyph, others about life on a working farm, and one of the great perks of staying as a guest at Green Hectares B&B is that you get an opportunity to sit and chat with them to hear some of them, whether it’s around a fire on a summer evening, or tucked into their cozy sitting room. 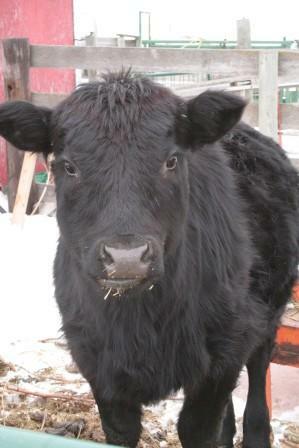 If you’ve never been around a farm before Green Hectares gives you a great opportunity to get up close to some of the animals, while still only a hop skip and a jump away from Swift Current’s Wal-Mart. For some it will be the best of both worlds! 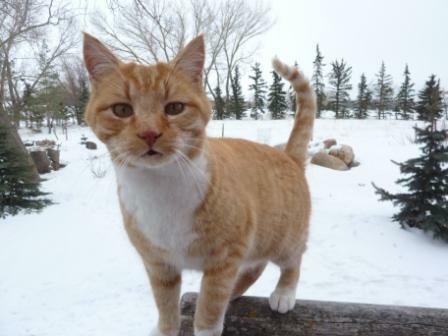 There are lots of friendly animals on the farm, but don’t worry none are allowed in the rooms, so those with allergies are safe! (Though George did try awfully hard to get into the room!). 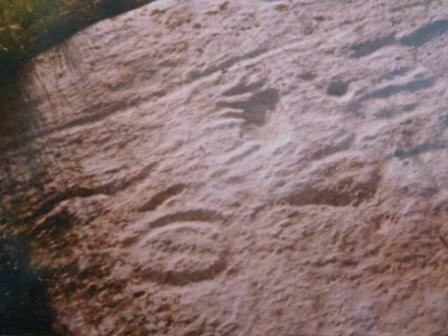 The petroglyph was officially recognized as a sacred aboriginal spot and a Provincial Heritage Property on August 27, 1990. I love it, I especially think cave painting as being some of the most amazing things.